The original feature class has no overlapping polygons (as shown below, image 1), it's been topology checked, so no potential errors here. I copy the relevant field from my feature class to a text field named "Layer", in order for the attributes to be available in the DXF. the DXF produced contains overlapping polygons for all original features that were island-like (fully within another feature) as shown below (image 3). I'm using ArcGIS 10.3 with an advanced license. I do not think there is a way to stop this from happening. From my understanding of CAD and the CAD Formats. A GIS Polygon is "seen" as a hatch in AutoCAD (as an example), CAD uses closed Polylines. 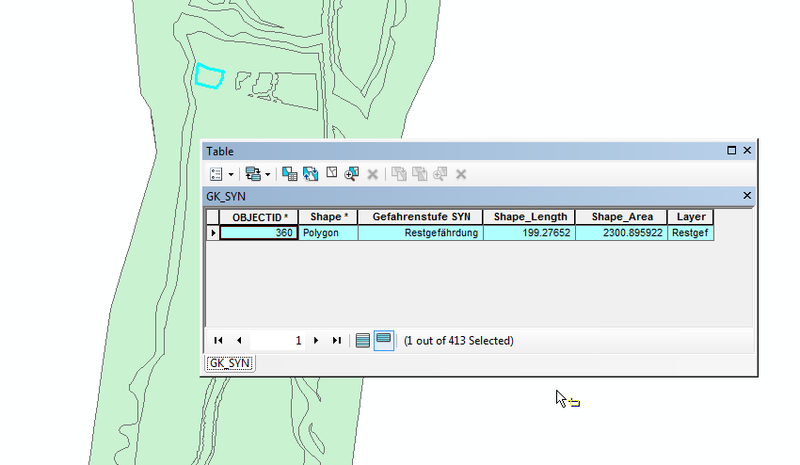 I.e: If you have two non-overlapping Polygons in a shapefile and convert that to a CAD Format. The polygons are seen as having 3 hatches. The inner, the outer and the combined. The converted CAD file will therefore show 3 polygons instead of 2. The Polyline created from the Shapefile to CAD Conversion will show the correct alignment of the Polylines from the shapefile. If there is a way, I would love to see it, but I don't think its possible. than won't have overlapping polygons. yap all the so-called polygons in CAD format (which are just closed polylines) are simple-polygons meaning they cant have holes in them? there is a workaround for something called a donut polygon. Not the answer you're looking for? 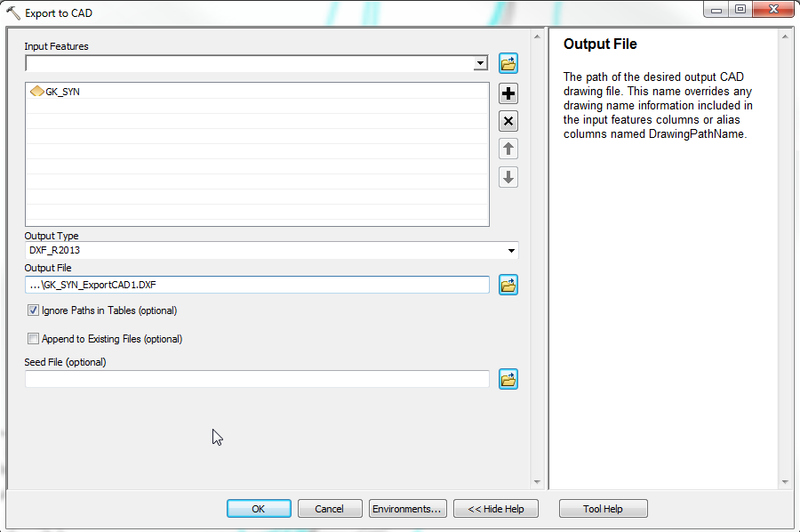 Browse other questions tagged arcgis-desktop export dxf or ask your own question. Eliminate Polygon Part tool doesn't eliminate part - a bug? Calculating area in polygons NOT covered by other polygons in ArcGIS Desktop? Creating polygon out of very large line feature class using ArcGIS for Desktop? Exporting Labels to Annotations using ArcPy?